I hope that’s raw milk she’s chugging! I used to think milk was good for you – who didn’t? Governments everywhere like to jam the message down your throat that if you don’t drink your two square glasses per day for your calcium, your teeth and bones will fall apart. But then I learned about how awful milk and dairy products really are (this includes cheese, sour cream, ice cream etc). They are allergenic, difficult to digest, full of hormones that mess with our own, chock full of pus, antibiotic residue, and sometimes feces. I also learned about how dairy products are the number one food that causes acne. Unfortunately, I used to paint all dairy with the same bad brush. It’s not dairy products themselves that are bad – it’s only the processing of dairy products that is bad! Real, whole, untampered milk products from a healthy animal are actually very nourishing, easy to digest, and good for you! It’s sort of the same thing about how people go around painting all meat in the same light, saying it’s bad, horrible, and you must quit for the sake of your health. Personally I feel it’s not meat at its core that is bad for you, it’s just the processing of meat and how most meat is from poorly raised animals. It’s the same thing with dairy. However, it’s hard to be clear to people about what sort of dairy products are acceptable to eat and what isn’t because there are so many different factors that make a dairy food what it is. Not all dairy is made the same. And no human is the same so not everyone will react the same way to it. For example, you may have heard me say that dairy is really bad for acne, and that you should cut out dairy. But then you see me going around promoting milk kefir or butter. Well wtf you say! 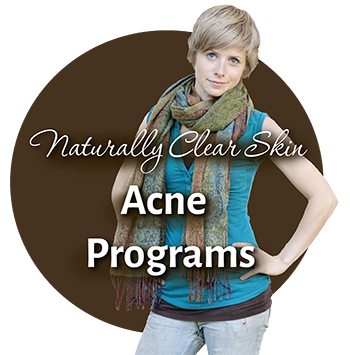 Why is dairy bad for acne, but milk kefir isn’t? Why can I eat butter? Isn’t that dairy? Milk consists of several different parts including the fat, the proteins, and the milk sugar. The protein in cow’s milk is mostly casein, and the rest is whey protein. These are what become damaged by processing and go on to become allergens. When they are denatured, your body cannot break them apart properly and may see them as foreign invaders. Lactose is the type of sugar found in milk. You need a specific enzyme called lactase to digest and metabolize it properly, but the majority of humans have reduced lactase activity after being weaned off our mother’s milk. This can result in abdominal pain, bloating, flatulence, diarrhea, nausea, and acid reflux. Pasteurization is when they heat the milk to kill potentially harmful bacteria and prolong shelf life. All grocery store milk is pasteurized. Unfortunately pasteurization also ruins much of the health benefits by killing the nutrients, denaturing the proteins, making it difficult to digest, and causing it to become highly allergenic. Ultra high pasteurized milk is has been heated to ultra high temperatures and is totally sterile. It keeps for months, but it is even worse for you than plain ol’ pasteurized milk. Homogenization is when they force milk through small orifices at high pressure in order to break apart the fat globules into small particles. They do this in order to prevent the milk from separating as it sits and having the cream rise to the top. However, the intense pressure heats it to a high heat for a second time, and alters the color, flavour, and nutritional value. Almost all milk found at the grocery store is homogenized (except goat’s milk because it’s naturally homogenized). 1%, 2%, and skimmed milk are considered ‘partially skimmed’ milk because part of the fat has been removed. This is a bad idea because whole milk is a complete and balanced food. When you remove part of the fat, it becomes a burden on your body because your liver has to give away precious nutrients in order to complete the picture and digest it. Fat is not the enemy, so skip the skim. Raw milk has not been pasteurized, homogenized, or skimmed. The nutrients are intact, the proteins are intact, the fat is all there, and the bacteria and live enzymes in the milk produce lactase to help you digest and metabolize it. While not universally true, raw milk is also generally obtained from clean, organic farms where the cows are treated and fed well and not shot up with antibiotics or extra hormones. These are the reasons why raw milk and pasteurized milk is like night and day in terms of health. Raw milk is generally tolerated very well by both allergic and lactose intolerant individuals since the natural bacteria in it produces lactase to help you digest the lactose. Fermented milk is when certain beneficial strains of bacteria have been introduced and have curdled the milk, leaving it in a custard like consistency – kefir and yogurt are examples. The end result is a bit sour because the bacteria have eaten most or all of the lactose. It is also full of beneficial bacteria to help you digest the proteins, assimilate the nutrients, and improve your intestinal health. While I’d normally never recommend eating any pasteurized milk products, fermenting it does bring back some of the lost benefits, since the bacteria will help you to break down the proteins, and the lactose has been pre-digested. Milk kefir is a type of fermented milk with huge probiotic benefits. It’s a bit like yogurt except not as solid – it’s more like a thick milkshake. There are a lot of different strains of bacteria in it that can help your digestion, repopulate your digestive tract, and help you combat acne. Plus it’s really nutritious. The kind you buy at health stores is not nearly as powerful as homemade kefir from raw milk though. Yogurt is a type of fermented milk that I’m sure you are all familiar with. Yogurt is okay but it’s a bit overrated – the type of bacteria in it can help you to keep your intestines clean and can serve as food for other good bacteria, but they can’t recolonize your intestines with good bacteria like kefir can. People tend to think plain yogurt is safe for acne because the lactose is eaten by the bacteria and it’s easier to digest than regular milk, but if you buy the conventional stuff, the extra hormones are still there and I feel those are a big piece of the dairy – acne connection. Dairy that came from a grass fed cow or animal is ideal because this is their natural diet. When animals eat their natural diet, their flesh and milk are less toxic and a hundred times more nutritious. Grass fed cows also don’t tend to have been given antibiotics or extra hormones, so it trumps organic. Organic is second best to grass fed. It doesn’t necessarily mean the cow or animal ate its natural diet, but it does mean that it at least doesn’t contain antibiotics or extra hormones. Milk from goats and other animals such as sheep have several benefits over cow’s milk – one being that the fat globules are naturally smaller and homogenized meaning it is a bit easier for us to digest. It also contains different proteins than cows milk, making it less likely to be an allergen since people do not consume goat’s milk the same way that cow’s milk is frequently consumed. Okay… so what does this mean? It means there is a definite “suitability” scale when it comes to eating dairy. In other words, you want the characteristics of your milk to be as much of the trumpers as possible, and not the trumpees. The best dairy you could possibly have is organic, grass fed, raw fermented goat’s dairy. That is REALLY good for you and will only benefit you, not cause problems (unless you are severely sensitive to dairy, which I’ll talk about in a second). The worst dairy you could possibly have is non-organic, skimmed, homogenized, pasteurized, conventional cow’s dairy from a supermarket. This stuff is GARBAGE. It will only cause you problems and possibly inflame your acne. So that should be fairly straight forward, but then there’s all the stuff in the middle. Unfortunately, depending on your area, raw milk may be completely unavailable, or is just difficult to get your hands on since it’s only ever available direct from a farmer. So…. the question is…. Is Pasteurized Dairy Ever Okay to Consume? It’s kind of iffy. I would say no, unless it’s organic, unhomogenized, full fat, AND fermented. Goat would definitely be preferable. I would never recommend drinking pasteurized or homogenized milk that wasn’t fermented. And I wouldn’t recommend drinking anything less than organic because you really don’t want those extra hormones in it (which is a major reason conventional milk is so bad for acne). Even so, if you are looking for the outstanding health benefits of something like homemade milk kefir, I can honestly say I do not know how much worse using organic pasteurized milk to make it is. Maybe it’s still amazing. Maybe it’s not. Therefore, I’d still really emphasize looking for a source of raw milk to ferment your own if you are planning to consume it on a regular basis because you want to improve your health. It might take a little extra effort, but I think it’s worth it. However, if you just want to know what is the least harmful stuff so that you don’t have to miss your yogurt, well then picking up some organic full fat yogurt with live cultures is probably fine (even better if it’s goat). Try to keep it to a small serving per day though. I would say this – when you first begin your journey to clear skin, cut out all dairy for at least a month. Take note of what kind of difference it makes to your well being and your skin. Then you can add back in some non-conventional fermented dairy and see if you notice any adverse reactions. If you’ve ever had notable lactose intolerant symptoms or allergies, or notice a huge reduction in acne or symptoms simply from stopping milk, then I would avoid anything except raw fermented dairy. However, while most people who are lactose intolerant or allergic will have absolutely no problems with raw milk or fermented raw milk, even then some are still sensitive to it. And some are still sensitive to the little bits of natural hormones in it too. So at that point, it’s kind of an individual thing and it’s up to you. Don’t feel like you have to eat any dairy if you are worried about it. Calcium is available from other whole food sources. Personally I eat raw milk kefir, because in my opinion, for most people, the benefits outweigh the risks when it comes to acne. You may feel differently. If so, don’t do it. Isn’t There Non Dairy Kefir? If you want the probiotic benefits of kefir, but can’t find raw milk, or just don’t even want to go there, there is non-dairy forms of kefir (such as water kefir). So what’s the point of going out of my way for raw milk, you ask? Well, drinks made from milk kefir grains and drinks made from water kefir grains are not the same. They share a few of the same strains of bacteria, but they are mostly quite different. And I believe that water kefir contains fewer beneficial strains than milk kefir. However, you can use milk kefir grains to ferment non-dairy things like almond or coconut milk – but you have to return the grains to real milk after each batch because the grains do specifically need lactose to survive. The other reason that I go out of my way to drink milk kefir over other forms is that real, whole, raw milk is very nutritious compared to just sugar water or whatever you use to make your water kefir! And those bacteria are helping you get the most of that milk. It’s like killing two birds with one stone – nutrition and probiotics instead of just probiotics. But anyway… you can also consume both milk kefir and water kefir to get a well rounded array of bacteria coming into your guts. They aren’t mutually exclusive. How Do I Find Raw Milk? Here is a great resource to locate where you can find raw milk near you. It can be frozen if you want to buy it in bulk. If you can’t find a source on that site, you can contact your local or semi-local Weston A Price Foundation chapter and they should be able to tell you if you can get any in your area. They can also help you to locate other real foods in your area, like grass fed meat and pastured eggs. Ah butter… how I love thee. I’m going to do a whole ‘nother post about butter and the butter suitability scale. I’ll just say for now that most people tolerate butter quite well because it’s mostly just the milk fat with very little lactose and proteins in it, but it is still important to make sure it’s from organic and preferably grass fed cows. Well, cheese is in the same boat as regular dairy, and in fact, it might be worse simply because it is just really concentrated milk solids and proteins. And generally the cheese you buy is going to be from conventional cows and pasteurized milk with the same denatured proteins and hormones as milk. However, if you can find cheese made from raw milk, you might be able to sneak a bit into your diet without issue. And if that isn’t an option but you just cannot live without a little bit of cheese, goat’s cheeses are better, and so are hard cheeses. Whey, the watery part of milk, is what contains the lactose, and the harder the cheese, the less whey is left, meaning there isn’t much lactose either. So taking all that into account, go ahead and eat all the hard, raw, goat’s cheese you want if you can find something like that! While not goat’s cheese, I have been known to eat a regular shaving or two of raw parmesan without incident. Alright… that is all for now. Questions? I’m sure you have a few. Please note that I’m away camping for the weekend, so I will answer your comments and queries on Monday! 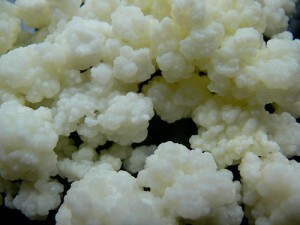 After reading your book I got myself some kefir grains & I must say digestion is great! How often to you have kefir? Every day or other? I’m deciding wether I have it everyday & if I dont, what do I do with the kefir grains? Do I keep in the fridge & how long can I leave them b4 they go bad? I used to have kefir every day when I made the video about it… if you don’t want to make it every day, you just have to make sure that the kefir grains have something to eat… so keep them in the fridge in a bit of milk and they will stay good for a long time. The cold temperature in the fridge will slow fermentation right down. I can’t remember what happened to my kefir grains exactly… I didn’t do this, or just left them too long without milk, and they died I guess :/ I definitely should have looked after them better. Then I moved to Australia and I haven’t had any kefir in a long time, but I can tell my digestion could totally use it!! I keep learning more and more about kefir and just how AMAZING it is… like 20 times more powerful than any store bought probiotic pill. And SO much cheaper. I think I may order some more grains and be more vigilant about keeping them alive. Also if you make some kefir and don’t want to use it right away, or you want to make larger batches of kefir so you don’t have to make it every day, once it’s fermented just move the whole thing with the kefir grains into the fridge, and since fermentation is so slow in there, you can use it at your leisure and then make a new batch. Apparently even a tablespoon per day is akin to huge benefits! I found your website today and I have really enjoyed reading everything and im excited to get started on changing my diet and trying new things. I had a question that I have not really been able to find anything about on the website yet and i wanted to know your take on it. I have a pretty bad case of Eczema on my face as well as acne. Having both of these prevents me from being able to treat either one with any type of medicine and I really just dont like medicine anyways! I recently have been reading about “Alkaline Water”. I have read great things about it but it seems a little too good to be true for me. The machines are quite pricy running around $2,000 dollars generally. I know things work differently for everyone but whats your take on this so called “Magic Water”? Well, I hadn’t really read anything about it and you just brought it to my attention now…. so I looked it up, and it sounds like the benefit is that it will neutralize acids in the body and keep your body at a more neutral PH. That sounds legit and that it could definitely be beneficial. I’m not saying that is your intention! I’m just saying that you should improve your lifestyle first without spending a lot of money on anything fancy in particular, and then if you finding that you feel really good and are going to stick with healthy living for life, and if you really really really want this machine and you really think it would be a great thing to supplement your healthy lifestyle with, then do it. For example, I really, really want to have a Vitamix high speed blender. Yes, this is a $500 blender… do I need it? No. I’ve done just fine so far without one. Do I want it? Yes, because I think it would make life a little easier, last me for years and years, and give me more creativity in the kitchen. Plus I’ve proved to myself that I actually really do use my regular blender and that it’s not just a fad… so I think that I could give myself permission to have a Vitamix now. I’m just saying….. don’t get wrapped up in any miracle. You know what they say… if it sounds too good to be true, it probably is. You don’t need miracles, you just need to take action and improve your lifestyle at the basic level before you go spending $2000 on anything. I bought your book and i’m pretty excited about it. But i have one doubt and i really need your opinion. I have moderate acne and i’m in a birth control pill for 3 years now. I know that your advise is to quit the pill but the problem is that its a very strong pill and for what i research when someone tries to quit that pill a severe acne may appear. So i thought that maybe its better if i start with your tips in diet and exercise and then soon as i feel better, i can quit the pill and maybe the results wouldn’t be that bad. What do you think about that? It exists some kind of supplement that also could help me to not suffer the severe consequences of living the pill? Thank you for purchasing the book 🙂 I’m glad you liked it. I would definitely advise that to get your health and lifestyle up so that when you quit, your body can weather the storm better. 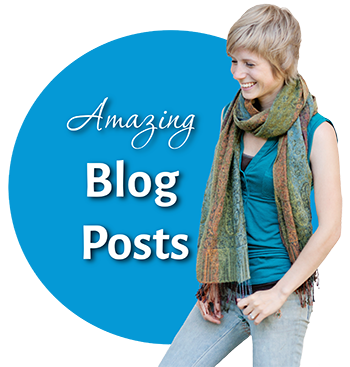 Also, women tend to have good success with the herb Vitex when coming off birth control pills, so you should research that and see if it might be right for you. Click here for a video where I talk about acne when coming off the birth control pill. And here’s a video about a girl who had ended up with acne every time she tried to quit birth control, and then she found a way to wean herself off it and successfully avoided the post BCP breakouts. Here we go! My first video where I’m not just a talking head…. how exciting! In this video, I’m going to show you how to make milk kefir at home. 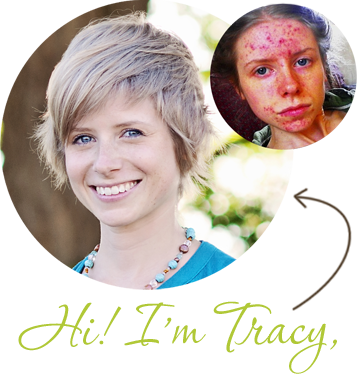 It’s very simple and it can really help with your acne, as it gives your guts a huge hit of probiotics! Check ‘er out! Take kefir grains and put them in a jar. Pour approximately one cup of the best quality milk you can get your hands on into the jar. Put a paper towel with an elastic band over top. Strain or sift through to get your kefir grains out. Drink the kefir, or mix it in a smoothie!